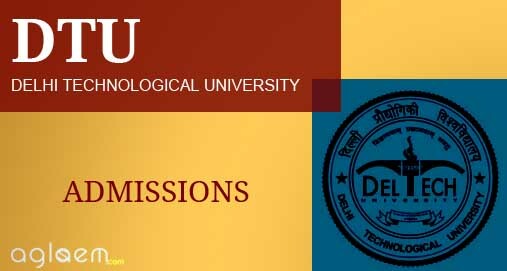 DTU B.Tech Evening Admission 2018 – Delhi Technological University has released notification for admission to B.Tech. (Evening). 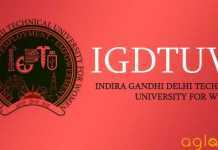 Delhi Technological University (DTU) admission is based on the performance of Entrance Examination. 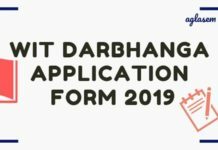 Candidates can read the complete details of DTU B.Tech Evening Admission 2018 such as application form, eligibility criteria, seat matrix, important dates etc. on this page. Latest: SPOT round details for B.Tech(Evening and LE) has been updated on this page below. Candidates can check. DTU conducted the entrance exam for admission to the four years B.Tech. (Evening) Degree Program in Civil, Mechanical, Electrical, Electronics & Communication Engineering, for the academic year 2018-19. Admissions to these programs are made on the basis of the merit of the candidates in an Entrance Examination. Schedule for DTU B.Tech Evening Admission 2018 is given below. Click here to check the SPOT round details for B.Tech(Evening and LE). 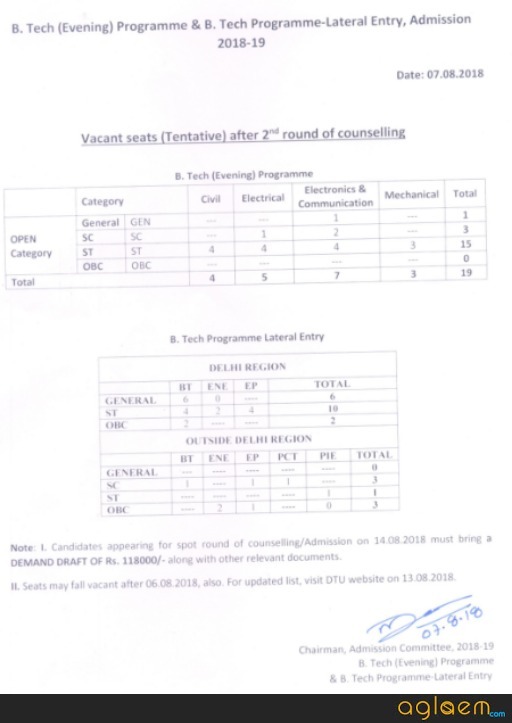 Click here to check the updated vacant seats for B.Tech (Evening) Programme & B.Tech Lateral Entry after the First round counselling. Click here to check the notice regarding Counselling Schedule for B.Tech and B.Tech (Lateral). The result for DTU B.Tech Evening Admission 2018 has been declared by the official authorities. The result has been uploaded on the official website same can also be checked through the direct link which is provided here when it was officially announced. Click here to check the B.Tech (Evening) programme upgraded admission list. Click here to check List of B.Tech (Evening) sponsored students. Click here for Registration Schedule. 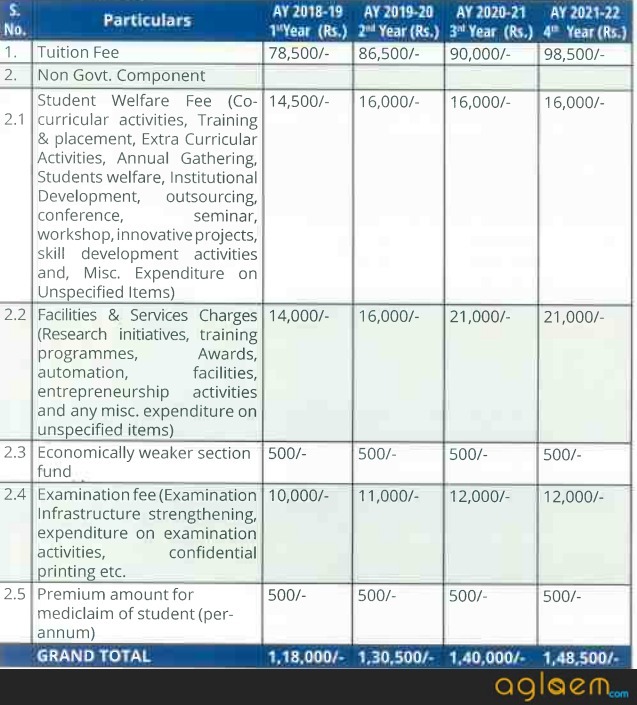 The university offers admissions in B.tech programmes to the bright candidates having 3 years diploma. These admissions are offered in two categories of B.tech programmes in various disciplines of engineering and technology. The candidate seeking admission in B.tech (Evening) OPEN category/B.tech. (Evening) Open category/ B.tech. (Evening) Sponsored category/B.tech. (Lateral entry) shall possess the essential qualification as per table below. B.tech(Evening-open category) Three-year regular diploma in any branch of engineering awarded by any state board of technical education/diploma recognized by AICTE, Delhi. B.tech(Evening-Sponsered category) Three-year regular diploma in relevant branch of engineering awarded by any state board of technical education/ diploma recognized by AICTE, Delhi. Such candidates have to submit No Objection Certificate (NOC) from the employer. The self -sponsored candidates shall not be eligible for admission under sponsored category. 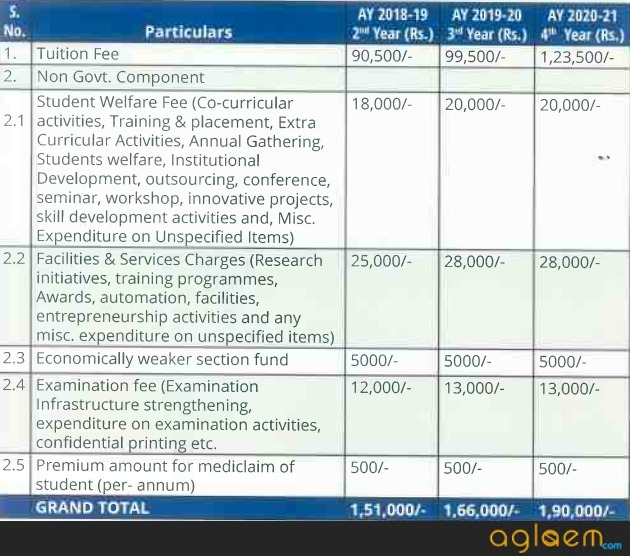 In addition, candidates of general category must have secured at least 60% marks in qualifying diploma or equivalent CGPA provided by the concerned institute/ University then equivalent CGPA will be computed. Relaxation in minimum percentage requirement will granted to candidates belonging to SC?ST?PD?OBC categories. The reservation in admission for all the B.Tech. (Evening) Programs for SC/ST/OBC shall be provided as per the policy of Govt. of Delhi approved by the Board of Management of DTU. 15%, 7.5%, 27% and 5 % of the total seats in each program are reserved for SC, ST, OBC and Persons with diability category respectively during session 2017-18. 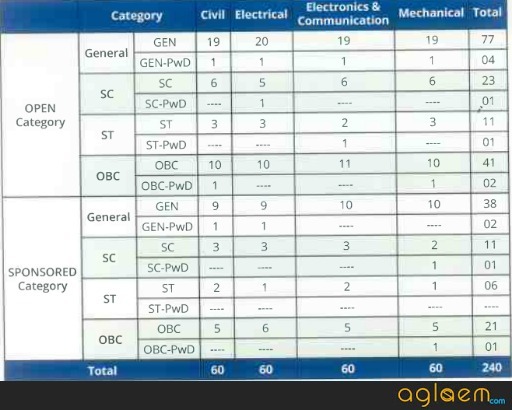 Candidates seeking admission under these categories must produce the SC/ST/OBC certificate issued by Govt. of NCT of Delhi. 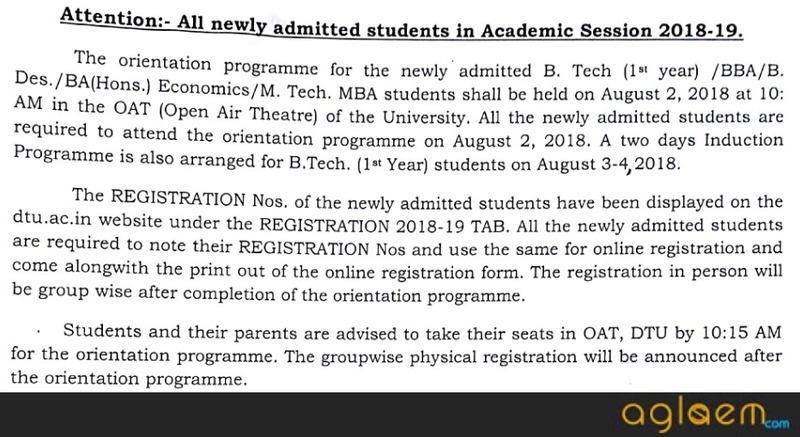 The admission to B.Tech. (Evening) Program Lateral Entry 2018, all candidates need to register and fill the application online from DTU official website. 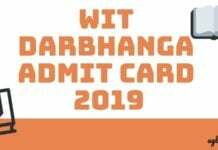 Also, the admission shall be done by Delhi Technological University on the basis of the rank secured by the candidates in the Common Entrance Examination. In case more than one candidate have equal marks in the Entrance Examination, the marks obtained in the qualifying examination as stated in the eligibility conditions will form the basis of merit for admission. In the event of marks in the qualifying examination also being equal, the candidate born earlier will be given preference. Place: B. Tech. (Evening) Office, 1st Floor, FW1-FF4 Electrical Engineering Department, Delhi Technological University, Delhi-110042. The candidates reporting for admission are required to bring the following documents along with one set of attested copies by Gazetted Officer. A duly signed printout of the filled application form. Two photographs, affixed in appropriate place on the form. Attested copies of SC/ST/OBC/Persons with disability certificates. Attested copies of Appointment letter from the present employer. Attested copy of a ‘No objection certificate’ by present employer as per Annexure-2. For More information about DTU admissions – Download Brochure .